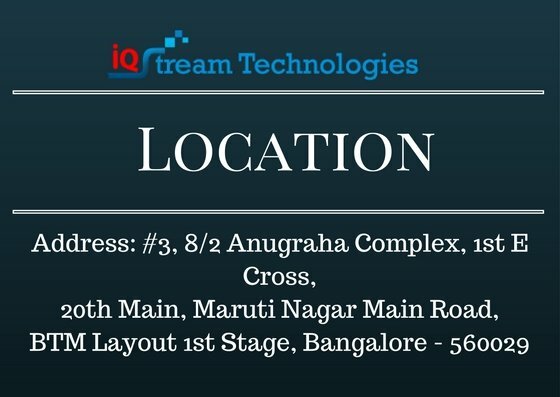 IQ Stream Technologies is one of the top quality SAP ABAP training institutes in Bangalore with highly experienced and skilled professional trainers delivering the courses. IQ Stream Technologies Bangalore also offers placement assistance for students who enrolled in SAP ABAP (Advanced Business Application Programming) real time Courses. We offer advanced real time SAP ABAP training classes with placements, advanced learning experiences and tools for better learning, understanding and experience. Our SAP ABAP course content and syllabus are very advanced and updated and curated by highly experienced trainers. SAP ABAP (Advanced Business Application Programming) is a programming language for developing applications for the SAP R/3 system. SAP R/3 system is a widely-installed business application subsystem. Latest version is ABAP Objects is object-oriented programming. What is SAP in ABAP? ABAP (Advanced Business Application Programming) is a programming language for developing applications for the SAP R/3 system. SAP R/3 system is a widely-installed business application subsystem. The latest version, is object-oriented programming ie;ABAP Objects. Read more about SAP interview questions and best practices in ABAP programming here. Which programming language is used for SAP? SAP is just a company name. ABAP (Advanced Business Application Programming) or ABAP/4 is a programming language. Is SAP ABAP a programming language? ABAP is a high-level programming language created by the German software company SAP SE (Advanced Business Application Programming, originally Allgemeiner Berichts-Aufbereitungs-Prozessor, German for "general report creation processor"). What is SAP ABAP course? SAP ABAP course is your guide to rapid, real-world enterprise software development. Which SAP module is the best? The most implemented modules are the ones with most job opportunities. SAP FI. SAP MM. SAP SD. SAP PP. SAP HCM. SAP Basis/ ABAP - for people with a technical bent. ABAP has now adapted the principles of object oriented paradigms with the introduction of ABAP Objects. What is the full form of ABAP? ABAP stands for Advanced Business Application Programming. What is ABAP data dictionary? The ABAP Dictionary supports the definition of user-defined types (data elements, structures and table types). This course is based on software release SAP ECC 6.07 (SAP Net Weaver 7.40). The ABAP Workbench Foundations programming courses require that you understand the content of this basic course. • What are the roles and responsibilities of SAP Consultants and Roles and Responsibilities of SAP ABAP Consultants? MM, SD, LE overview for the SAP ABAP consultants. --The main feature of Object Oriented programming is representing real-time objects in the form of class objects. • Object Oriented ABAP focus on representing real-time objects of classes. • SAP ABAP Object Oriented programming is available in two flavors. One is Global Classes and another one is local class. • Events in SAP classes What are events in SAP Classes? • CONSTRUCTOR (Instance Constructor). 2. CLASS CONSTRUCTOR (Static Constructor). Singleton pattern in OO ABAP with example. vi. FOR with THEN and UNTIL|WHILE 6.